This week, I explore and rank the 25 best falsetto singers of all time. Then, for good measure, I add a list of ten honorable mentions because, well, one list is never enough at djrobblog. Both lists span several genres and includes a few surprises. I’ve also included some special video clips of classic falsetto performances, which you can see here on djrobblog. Dictionary.com defines the term “falsetto” as: 1) an unnaturally or artificially high-pitched voice or register, especially in a man, and 2) a person, especially a man, who sings with such a voice. 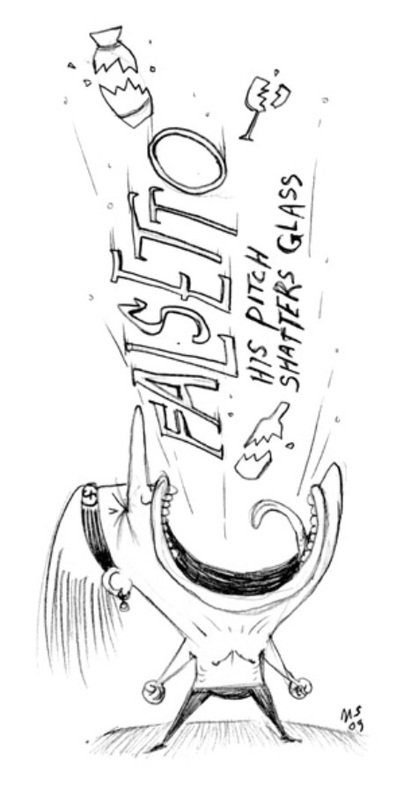 Wikipedia offers a more technical explanation, stating that falsetto, the Italian diminutive of falso or “false,” is “the vocal register occupying the frequency range just above the modal voice register and overlapping with it by approximately one octave.” It goes on to explain how falsetto is produced by the vocal chords (by both men and women) and is one of four main vocal registers cited in speech pathology. Who knew that there was such a scientific definition? No, these are not lips or any other part of the body. 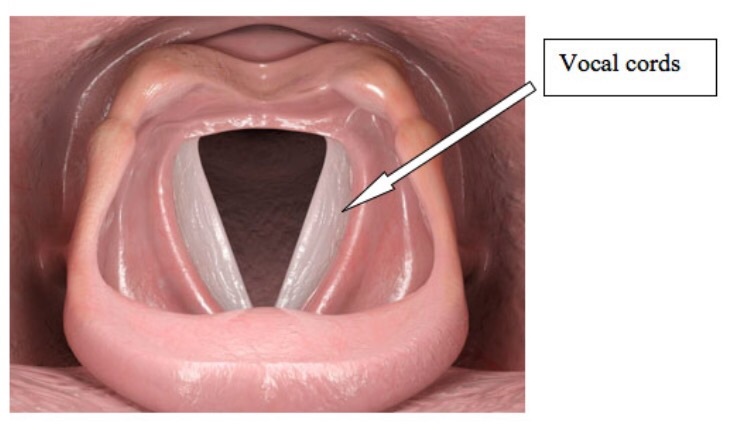 It’s a picture of vocal chords, which are used differently when someone is singing in falsetto voice, instead of the more natural modal range. I read this with keen interest, particularly the Wikipedia entry, which even included a .gif file depicting the movement of the vocal chords as they produce a falsetto sound. The article offers that falsetto singing can sound “breathy” or “hooty” – at least per one description – particularly if the artist isn’t a strong falsetto singer capable of producing the sound with more “ring” to it. Now those were terms I could understand much easier. Well, to answer your question, look no further than this week’s top 40 pop songs. You’ll find a full dozen hits where the singers (all male) use varying degrees of falsetto to get their messages across. That number increases to a baker’s dozen if you include Selena Gomez’ single “Good For You,” where the female singer walks a fine vocal line between falsetto and her own breathy tenor. For the purpose of this article, however, I’m going to follow the conventional, but controversial wisdom and leave Gomez out of further falsetto discussion. Not just because of the fine line that her vocals straddle between high tenor and falsetto, but because, even with all the Internet’s claims that women can and do use this vocal technique, my web search did not produce one legitimate example of a female falsetto singer. So with that bit of gender discrimination out of the way, this week’s list of male sopranos includes songs ranging from minimal falsetto where the singer offers a simple “wooo!” or “oooh-hoo,” (e.g., “Uptown Funk” or “Shut Up and Dance”), to those that include more prominent uses of falsetto throughout, like newcomer Charlie Puth’s recent #1 hit “See You Again” or Maroon5’s former runner-up single “Sugar,” featuring leader Adam Levine doing his best high-register singing yet. 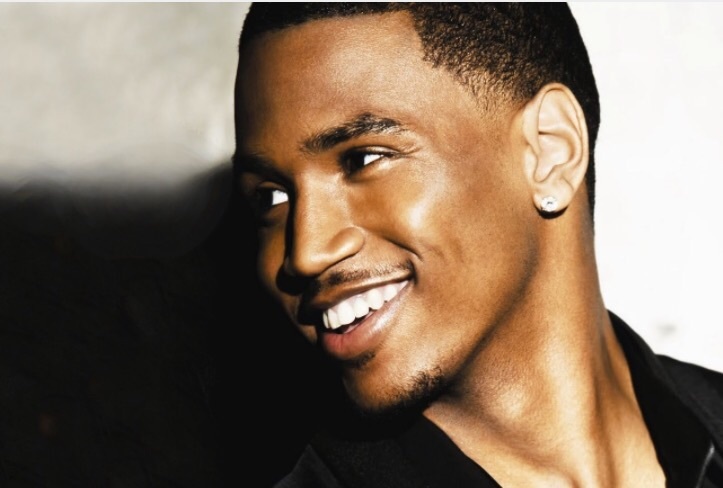 Perhaps the best uses of falsetto in this week’s top 40 belong to pop/R&B crooners The Weeknd, Jason Derulo and Trey Songz. This trio of hit makers alternates effortlessly between their more natural tenors and that “octave above modal” vocal range that brings home their respective hits. Rising star The Weeknd has three such tunes on the chart, including one of the biggest hits of 2015, “Earned It.” Derulo and Songz do it with their long-running top-40 singles, “Want To Want Me” and “Slow Motion,” respectively. Now, I don’t know if there is a published statistic that tracks the weeks with the highest number of falsetto songs in the top 40, but if such stats were being kept, I’m sure the week of August 15, 2015, would give any other chart week a run for its money, maybe with the exception of that 1970s era when singers like Al Green, Barry Gibb (of the Bee Gees) and Phillip Bailey (of Earth Wind & Fire) dominated the charts. From left, El DeBarge, Abel Tesfaye (a/k/a The Weekend) and the Bee Gees (Robin, Barry and Maurice Gibb)…all noted falsetto singers (well, except Maurice). Which (finally) brings me to the premise of this article. The predominant use of falsetto in this week’s hits had me wondering which artists over time were the best at producing that “false voice” and making it sound so real? By now you know me well enough to know that I couldn’t pass up this opportunity to come up with yet another “djroblist”…one that ranks the best falsetto singers of all time – in countdown fashion from 25 to 1. After the list of top 25 falsetto singers, I have ten “honorable mentions” – i.e., guys who didn’t make the cut, either because the competition was too stiff, or because they simply didn’t provide enough of a falsetto sample size, but did just enough to make them noteworthy. Best falsetto performances: “Bennie & the Jets,” “Tiny Dancer,” “Goodbye Yellow Brick Road.” Elton used falsetto often, especially in his early-to-mid 1970s heyday. And although he never professed to be an R&B singer, nor even pretended to be able to hit the notes of his R&B contemporaries, his use of falsetto proved effective. The video below is of his classic “live” Soul Train performance a year after “Bennie & the Jets” was a hit. You’ll have to wait until about two-thirds through the performance to hear him unleash his falsetto on the all-too-happy group of Soul Train Dancers that surrounded him on stage. Below are some singers who just missed the Top 25 cut. The list includes some artists who made their living using their natural singing voices, but who took that occasional dip in the soprano pool to produce some of the best (or at least most memorable) falsetto performances of their careers. 1. Mick Jagger (of the Rolling Stones): “Emotional Rescue,” “Fool to Cry,” “Waiting On A Friend,” “Worried About You.” Rock critics often criticize the Stones’ “Miss You,” from their 1978 Some Girls album, for being a sellout to disco. But “Emotional Rescue” from two years later, featuring Jagger’s falsetto, was even more disco-sounding. Check it out. 2. Sam Smith: “Lay Me Down,” “Stay With Me,” “I’m Not The Only One.” This up-and-comer will surely be on the top 25 list soon. 3. Del Shannon: “Runaway.” This 1961 number one song employed one of the earliest uses of falsetto in pop music. Check out a performance from 1964 in the video below. 4. The Dream: “Falsetto.” The Dream had the boldness to have one of the few songs actually titled “Falsetto,” yet in the lyrics ascribe the speech pathology to what a woman would be “talking like” once he encountered her. When he demonstrates with his own powerful falsetto on the “ooh baby” lines, it’s nothing short of convincing. At least we know he believes women can do falsetto. See it below. 5. Miguel: “All I Want Is You,” “How Many Drinks?” I haven’t investigated it yet, but I get the impression that his latest album, Wildheart, features some bone-tingling falsetto performances. 6. Lou Christie: “Lightning Strikes.” Another one of those songs that, as a kid, I always thought a woman sang (at least the famous falsetto chorus). 7. Brian Wilson (of the Beach Boys): “Wouldn’t It Be Nice?” “Fun, Fun, Fun,” “Don’t Worry Baby,” “California Girls.” The more I think about it, maybe Brian belongs in the top 25. 8. Carl Wilson (of the Beach Boys): “Good Vibrations,” “God Only Knows.” The Beach Boys Pet Sounds album is one of the best LPs of all time. Aside from its state-of-the-art music production by Brian, the songs by Brian and his brother, the late Carl Wilson (sung in falsetto by each of them) further show why. Here’s a video of Carl leading “God Only Knows” from that album. 9. Remy Shand: “Take a Message.” A very close friend introduced me to this artist, and I found Shand’s work impressive enough to include as an honorable mention in the article. 10. Tiny Tim: “Tiptoe Through the Tulips.” If you’re old enough to remember this ukelele playing falsetto singer (complete with a vibrato that would be the envy of any modal-voice singer), then you can truly appreciate falsetto at its most impressive. Want more of the late Tiny Tim? Check out this performance of “Earth Angel,” where he displays his versatility as both baritone and falsetto in the song’s verses. In my best falsetto voice, I hope you enjoyed this tiptoe through the falsetto maze with me…and, as always, thanks for all the love and support.